Is that Jason Joiner top left? Some nice acquisitions there. Toby Philpott's a nice chap. He doesn't live too far away from me. nice auto Grinchy,i was hoping to get to this but unfortunately couldnt make it would have been good to catch up again pal. A bit late here but i received this back from OP for Daniels to sign in Anaheim. 4 years in the making but very happy with the end result. 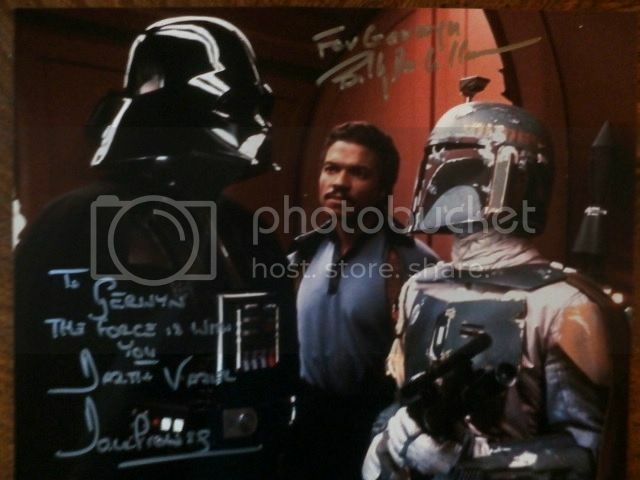 Also got Billy Dee to sign this one. Pretty obvious whos signature i need now. 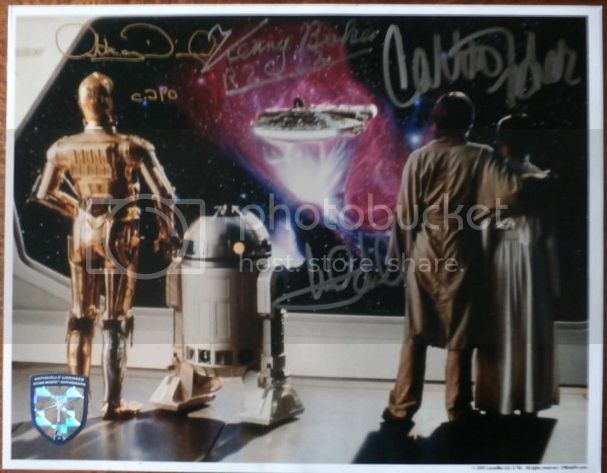 rhyfelyser wrote: Also got Billy Dee to sign this one. Pretty obvious whos signature i need now. Yup. John Morton, James Earl Jones and Jason Wingreen. All very easy to obtain. 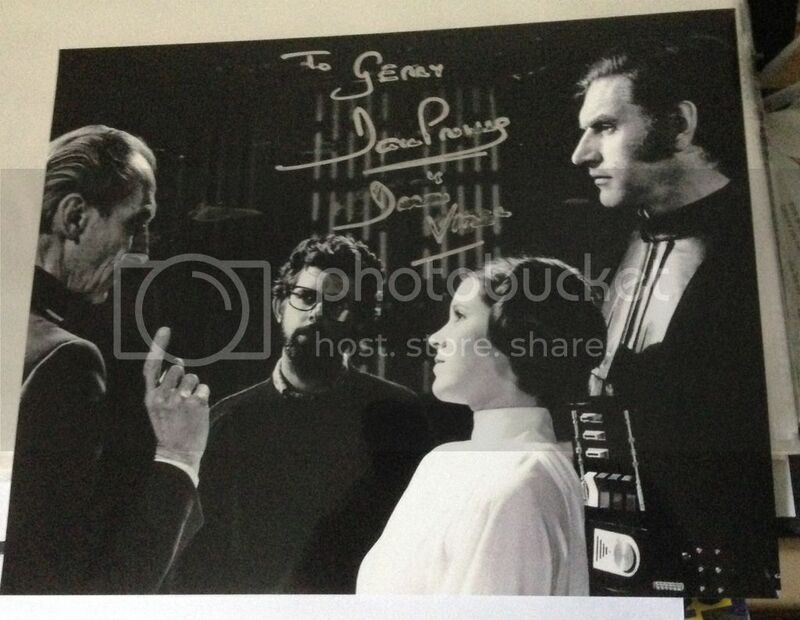 rhyfelyser wrote: A bit late here but i received this back from OP for Daniels to sign in Anaheim. 4 years in the making but very happy with the end result. Hi there guys....a lot of great autographs here, I've never really gotten into the collecting of them but once Temuera Morrison got the Jango Fett part I had to get his signature. The good thing about it was I didn't have to track him down at a convention or pay for it because New Zealand being New Zealand I just called his agent went in and he signed my stuff pretty much straight away....a great guy and he made me a fan for life. Ah, new acquisitions...you're a Star Wars collector are you not? I managed to get my most wanted autograph today. Outside of the really difficult ones to collect in person (Lucas, Ford, John Williams, etc), I have always wanted to meet Robert Watts. I have always missed him on the autograph track, was actually getting distracting by never meeting him. What a legendary man. His credits with Lucasfilm defined every Generation X childhood. He told me and Simon that Raiders was his favourite to work on, but Star Wars was so hard to make because of 20th Century Fox. He rejoiced that him and rest of the Lucasfilm crew proved them wrong by doubling their stock price. 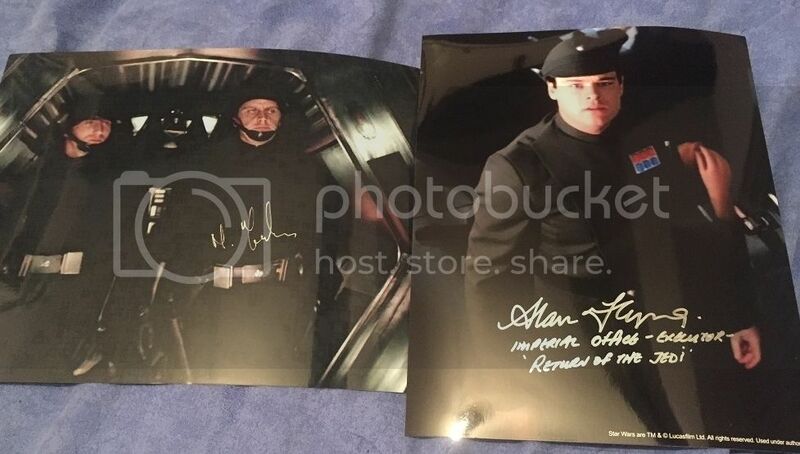 He also told us that he was invited to the set of Episode 7. This was the highlight for me. This guy is the original trilogy and he said what he saw from J.J Abrams was fantastic and far superior to the prequels. He couldn't discuss it anymore than that, but he seemed really excited about the project. I could listen to Watts/Kurtz etc, talk Star Wars all day. 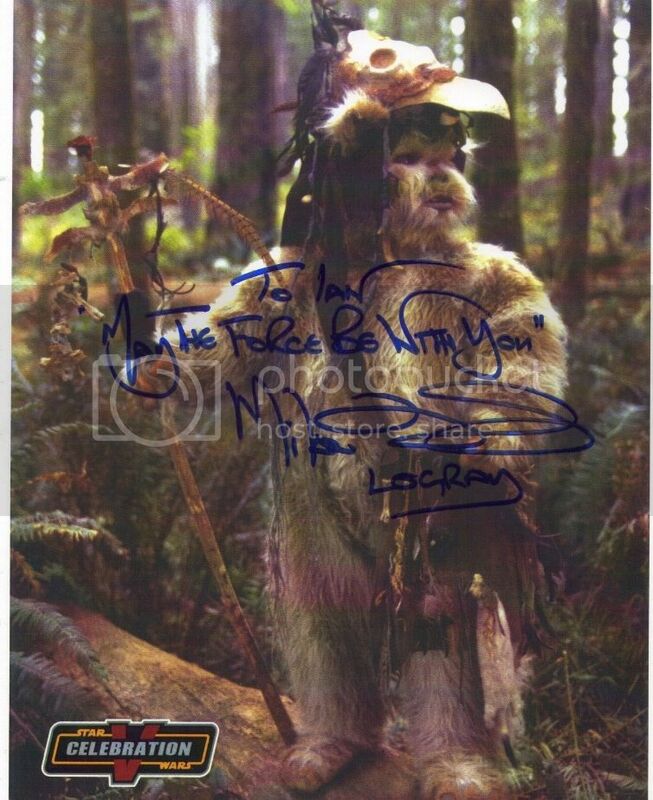 I met Dave Prowse & Jeremy Bulloch at the end of August this year at Glasgow Film Comic Con.Here's my autograph from Mr Prowse.I accidently smudged the Darth Vader bit when i tried to put it in its clear sleeve.